Although there are many factors that affect insurance rates, the age of the individual behind the wheel is a crucial factor. Young drivers are often considered high-risk because they are more likely to be involved in an auto accident. It may not be easy to get cheap auto insurance for teenagers. There are things you can do, however, to reduce the cost of adding a teen driver. Teenagers are often penalized because they lack experience when it comes to driving, so adding a teen to an experienced driver’s policy will minimize the impact the teen has on premiums. When adding the teen to the policy, give your insurance company accurate information on how the teen will use the vehicle. The fewer kilometers the teen drives, the lower the additional cost. Another important factor is the safety of your vehicle. Installing insurer-approved security equipment such as immobilizers and steering wheel locks can reduce your auto insurance rate. Usage based insurance programs can also demonstrate that a vehicle is used safely. Using smartphones or diagnostic port devices to record acceleration, braking and time of day a car is used can earn a discount of five or ten percent just for participating with further savings later. Only a few Ontario car insurance companies currently offer these programs. Completing a Ministry of Transportation approved driver training program also earns a teen some privileges, including insurance discounts. Maintaining high marks as a student is also recognized by some insurers as a sign of responsibility. A teen still in school and performing at an honour roll level may be eligible for additional insurance discounts. For families with the option to add a teen to more than one vehicle, some strategic planning can save on car insurance. A more expensive first vehicle will likely cost more to add a teen driver, since it probably costs more to insure in any scenario. An older, modest sedan or minivan is naturally cheaper to insure and this will reflect in the teen’s insurance cost as well. You can use Ratelab’s car insurance calculator to find companies with the lowest prices on insurance for your teen. 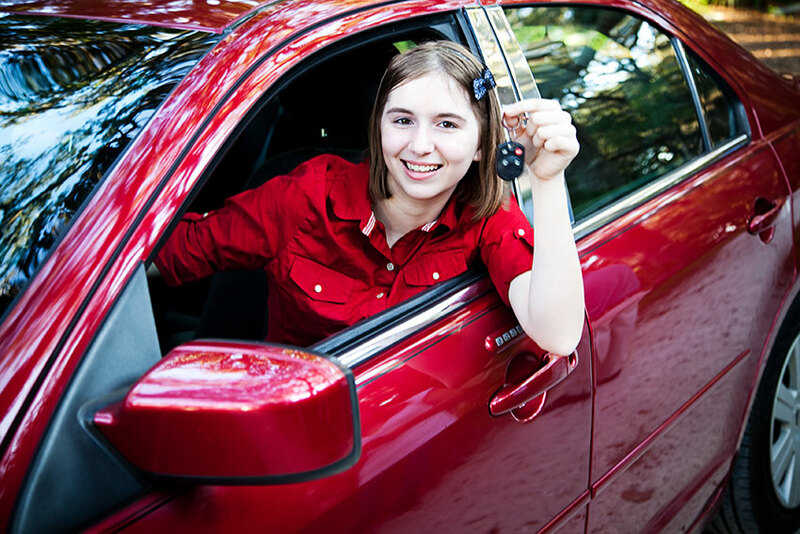 If you’re insuring a vehicle for the teen’s exclusive use, simply enter the teen’s information. You can also add the teen after entering your own information to get an estimate based on shared driving insurance. The Ratelab calculator will search through over fifty insurers to find the lowest cost providers and their quotes on the coverage you request. Once you’ve decided on an insurance company, you can work directly with your agent or broker to fine-tune coverage to assure you’re paying for precisely the coverage you want for your teen and your vehicle.